BERLIN - There should be no cap on refugees entering Germany, the chairperson of the German Bishop's Conference, Cardinal Rheinhold Marx has said in Berlin. He addressed the annual St. Michael's reception on Oct.10. 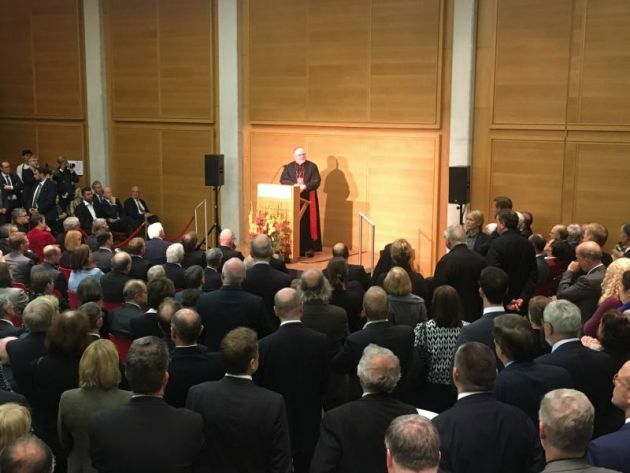 In the audience was the German State President Frank-Walter Steinmeier, top German politicians, diplomats, clergy and interfaith bodies. "Off course in our asylum legislation there is no upper cap for refugees. That is taken for granted, and we will stick to that," said Marx to applause. Marx words came a day after the two Christian Union sister parties the Christian Democratic Union and the Christian Social Union, which only operates in the southern German state of Bavaria, agreed to an upper cut of 200,000 refugees a year. The cardinal's words were seen as a veiled rebuke of Chancellor Angela Merkel's ruling party, which in recent days gave in to pressure from its more conservative sister party under Bavarian Minister-President Horst Seehofer. They agreed to the cap on refugees after nearly half a million entered Germany in 2015 at the height of the refugee crisis. The agreement comes ahead of the start of coalition talks with other parties to form a new government, following last month's national election. 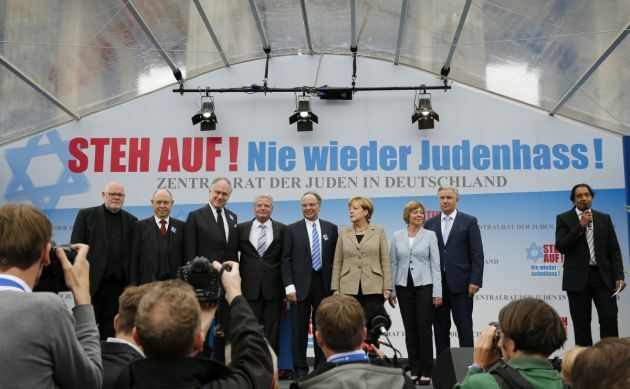 In the September general elections refugees and the integration of refugees were a key issue and the far-right Alternative for Germany (AfD) with Neo-Nazi tendencies snatched 13 percent of the vote. It was the first time since World War Two that such a far right party got elected to the German Parliament. Marx also entered the political fray when he said to applause that for the Catholic Church the reunification of refugee families is a pre-requisite for successful integration. This has been a touchy topic in German national politics. Earlier in his address Cardinal Marx said "For us as a church, it is important that we recognize the other as other and not try to make him into an image of ourselves. That is a basic prerequisite to live together and to cooperate." He said, "For us as Christians, it means that every man - believing or disbelieving, is the image of God. "This is a strong motivation to see everyone, regardless of gender, color, national origin or religion as an image of God. Only then can we live together in a good way," his word drawing applause. Marx also berated the German political parties for concentrating on national politics and not pushing the European project which is about the future and a guarantee for peace in Europe. He pointed out that in contrast Pope Francis, who is from South America is about to give his fifth keynote address on Europe. (Photo: REUTERS / Fabrizio Bensch)German Cardinal Reinhard Marx of the Roman Catholic Church, Nikolaus Schneider, President of the council of the Evangelical Church in Germany, World Jewish Congress President Ronald S. Lauder , German President Joachim Gauck, Dieter Graumann, President of the Central Council of Jews in Germany, German Chancellor Angela Merkel, Daniela Schadt partner of President Gauck and Berlin Mayor Klaus Wowereit (L-2nd R) pose on stage after an anti-Semitism demo at Berlin's Brandenburg Gate September 14, 2014. At right is TV presenter Cherno Jobatey.